Today starts daylight savings time. 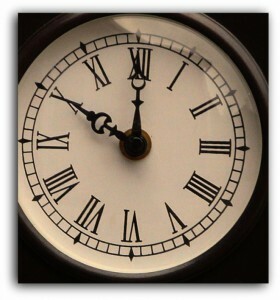 Time to Spring Forward and turn your clocks ahead 1 hour. An extra hour of daylight means I can show homes after my clients get off work during the week without stumbling around in the dark. And that is a good thing. Not because Spring Texas homes are spooky but because homes look very different at night than they do during the day. Also remember to replace your smoke detectors batteries. Unless you like to be awaken at 2 am to the sound of LOUD beeps and to the voice of the evil little lady that lives inside your smoke detector saying “low battery”, “low battery”, “low battery” over and over. This year I am armed with several packages of fresh batteries, so the wicked lady who lives in my smoke detectors will just have to wait until next year to irritate me.